Time is tight, friends, and I'm willing to bet you've forgotten to get gifts for a friend or two. Don't fret—they won't know that you don't care enough about them to get a gift more than a week in advance! Just order one of the gifts below online and then blame UPS for it arriving after Christmas. We couldn't have maraschino cherries in the house when I was a kid. I'd pull up a chair, reach deep into the fridge, then pull out that jar with the care and exaltation of Indiana Jones grabbing the golden idol. At some point, I realized consuming large quantities of the fluorescent red cherries probably wasn't very good for me and moved on. 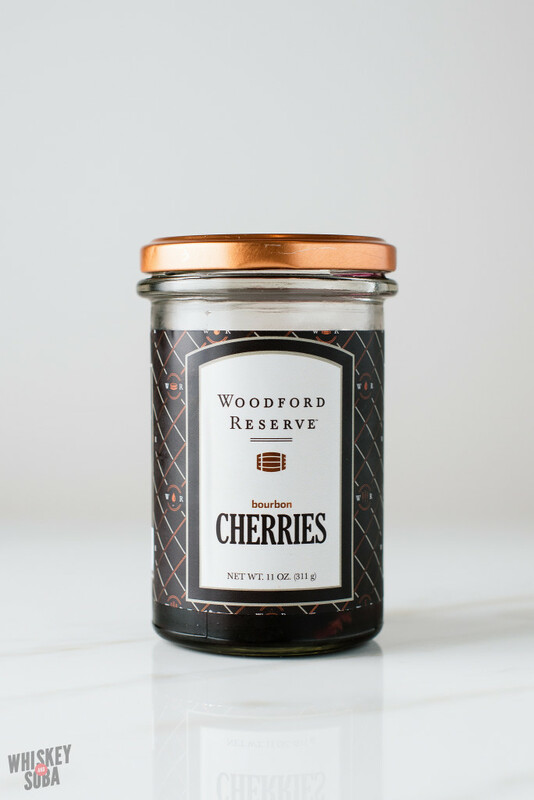 Then I found Woodford Reserve's bourbon cherries, the sophisticated adult version of my childhood favorite. The bourbon flavor is subtle—probably too subtle for some and just right for others—but they're still dangerously delicious. Available locally at Truffles Butchery and Larder & Cupboard, or online here. I don't understand why I can't find brigadeiros at every chocolate shop in St. Louis. This Brazilian bite-sized creation is somewhere between fudge and a chocolate truffle, which is as orgasmic it sounds. Their soft texture and caramel-chocolate flavor makes my mind go blank. I hear angels singing. 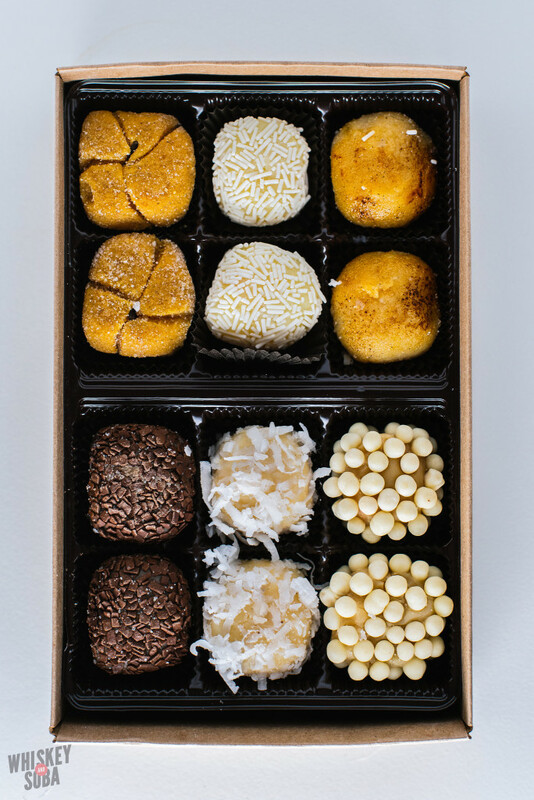 Fortunately, Kansas City's Jessica Antunes is making not just traditional chocolate brigadeiros, but a whole slew of flavored ones. The box below had pumpkin spice, creme brulee, lemon, chocolate, coconut, and white chocolate crunch. I don't want to tell you how quickly I ate these. Message Jessica on the Sweet Kiss Brigadeiro Facebook page for order inquiries. I told you to go get Rebel Roots caramel apples a few months ago, but it seems like most of you missed out. Part of me wants to punish you by making you wait a full year for their caramel treats, but selfishly, I want some right now. Luckily, owner Amelia Karges, the caramel whisperer, has started selling her caramel-dipped pretzel sticks at the Tower Grove Farmer's Market. As with the apples, she's got a huge variety of caramel flavors going, including Earl Grey, gingerbread, chai, and more! Message Rebel Roots on their Facebook page or their website for order inquiries. St. Louisans know Anne Croy for her incroyable (that's French for incredible, and it's a double entendre) gelato and pastries at Pastaria, but the whole world will soon know her as the mastermind behind Banner Road granola. The majority her granola ingredients come from local Missouri farms, and each canister is chock full of nuts, seeds, and fruit. Banner Road currently offers 3 flavors on their site: Original (pecans and dried cherries), Bye Bye Blues (walnuts and dried blueberries), and Kickstart (Askinosie Chocolate and Sump Coffee). For you locals, head to Larder & Cupboard and get her Christmas special, Frosty Deconstructed. With Singapore being a predominantly Chinese country and a former British colony, it's no surprise that their love of tea is much higher than we see in US. Early on in my time there, I joined some friends for tea at one of the haute TWG Tea cafes. I ordered a few macaron and asked the waiter for his recommendation on a tea to go with it. He told me that the vaguely named No. 12 tea would be an absolutely splendid choice, and he was quite correct. No. 12 tea is a unique blend of black tea, coffee beans, and what tastes like bits of coconut, all of which yield a cup that's got a smoky, vanilla flavor. It's been a constant favorite of mine since 2012 and is a constant in my gift giving, particularly to those who love both coffee and tea. TWG's North American retailer is The Urban Tea Merchant.